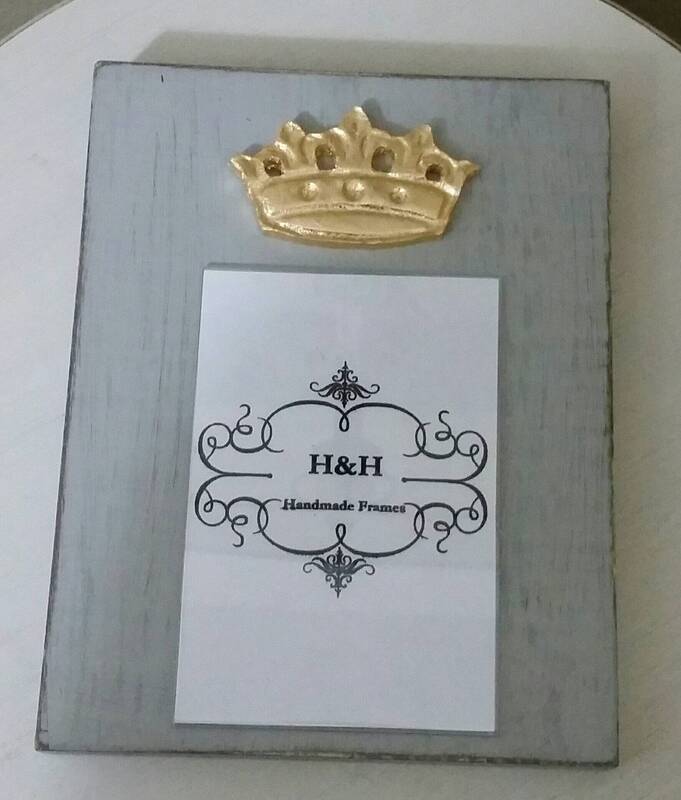 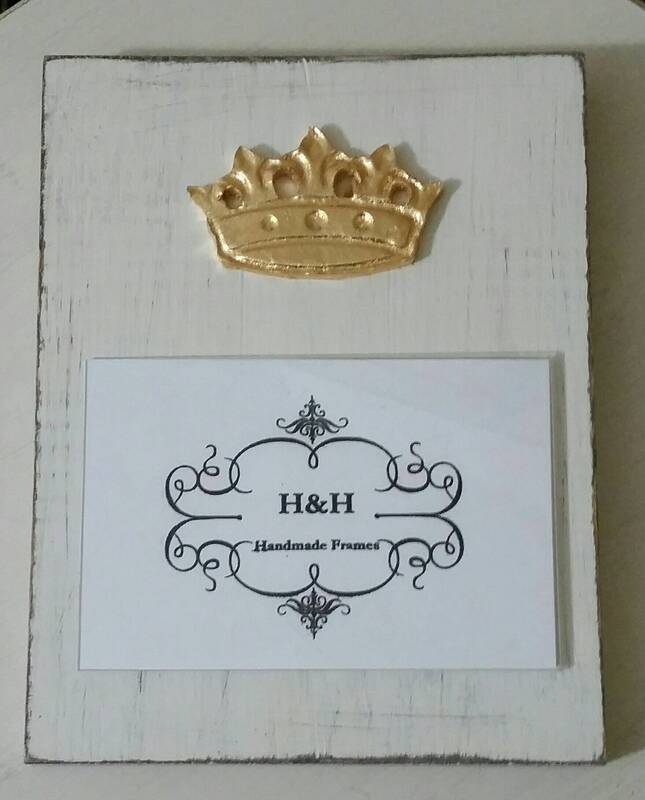 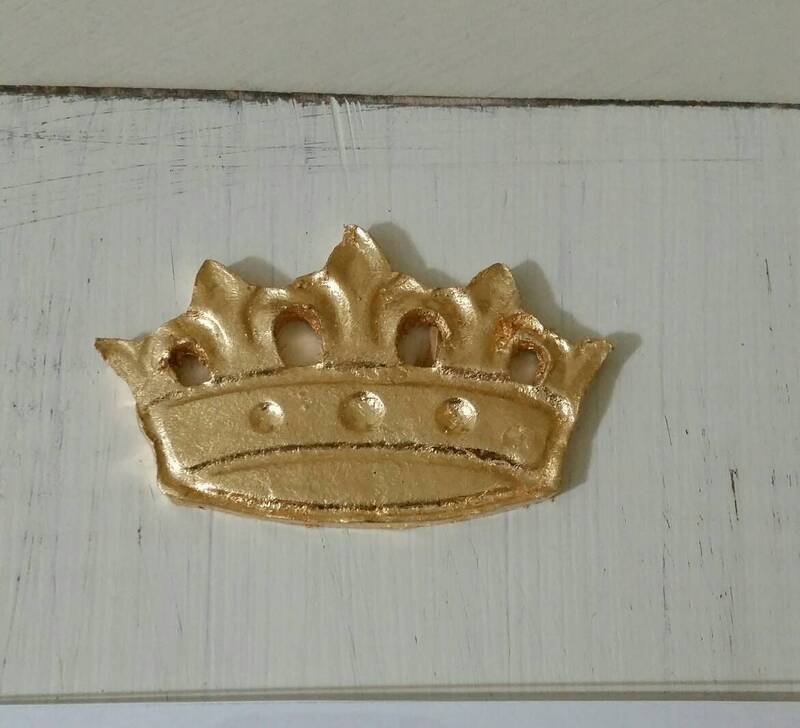 Handmade Wood Frame 4x6 Photo Painted Distressed With A Gold Leaf Cut Out Crown - Mardi Gras - Nola- New Orleans - Carnival. 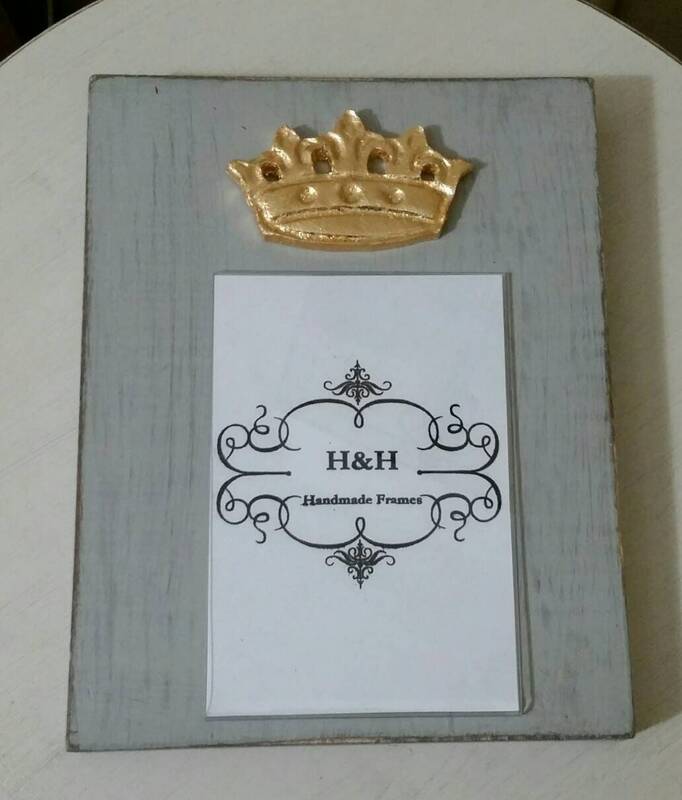 Outside frame dimensions 9 1/4"ht x 7 1/4"w and holds a 4x6 picture can be vertical or horizontal. 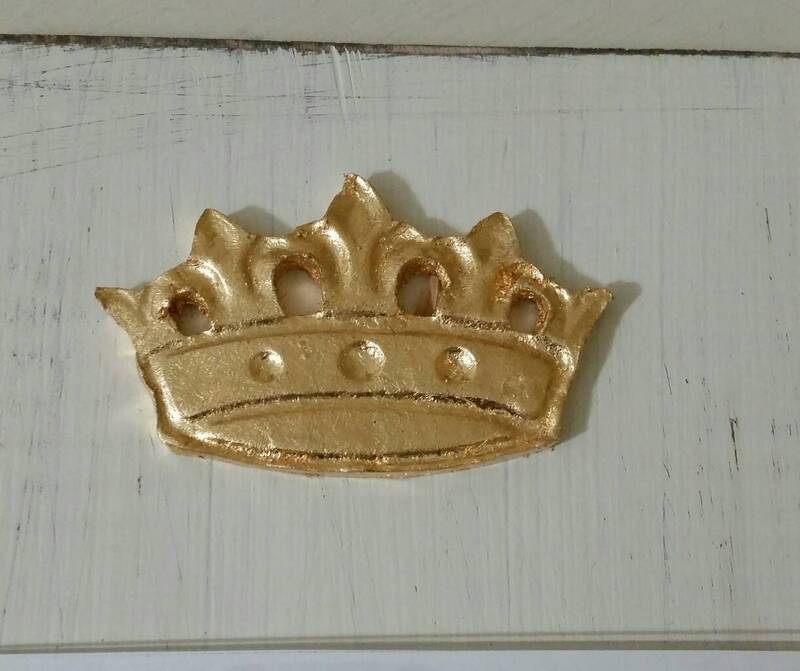 Color - Painted Off White or Grey with a distressed finish and a Gold Leaf Crown. 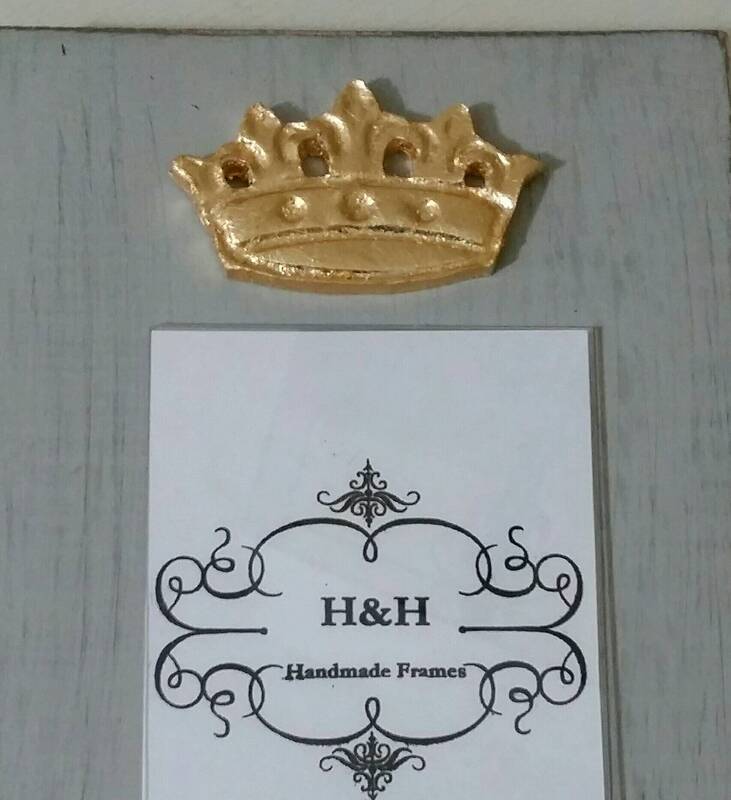 Just comment with one you would like.